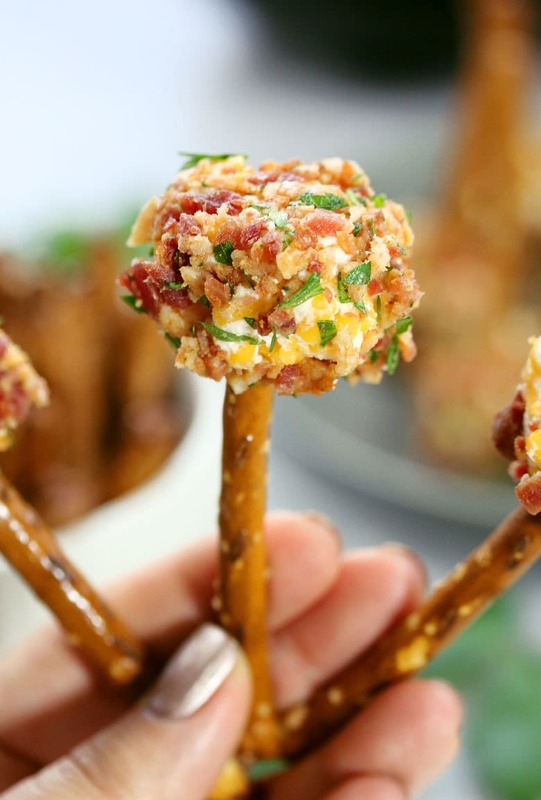 This mini bacon ranch cheese ball recipe is so easy to make and delicious! You only need 5 ingredients and about 10 minutes to put together this game day ready appetizer. Sundays have been my favorite day of the week for a very long time. There is something about sitting down to watch football all day that really makes me happy. Maybe it’s all the muscular men running around TV? Nah. It’s football food that really gets me going. Sunday after Sunday, I watch football from noon to night – last year our team did badly but I still watched each week. I am a football girl. I use the commercials to load up on plates of food and this year won’t be any different than years past. Finger foods are my favorite food group (that is a food group, right?) 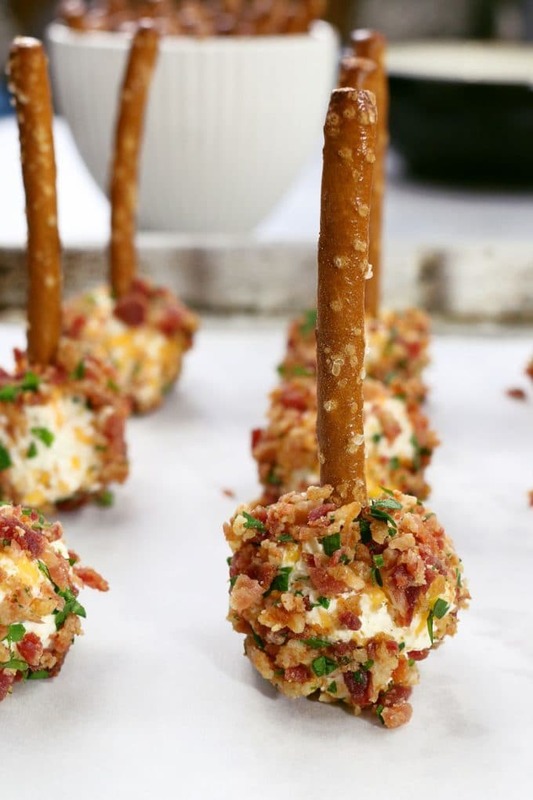 and this mini bacon ranch cheese ball recipe is right up my alley. 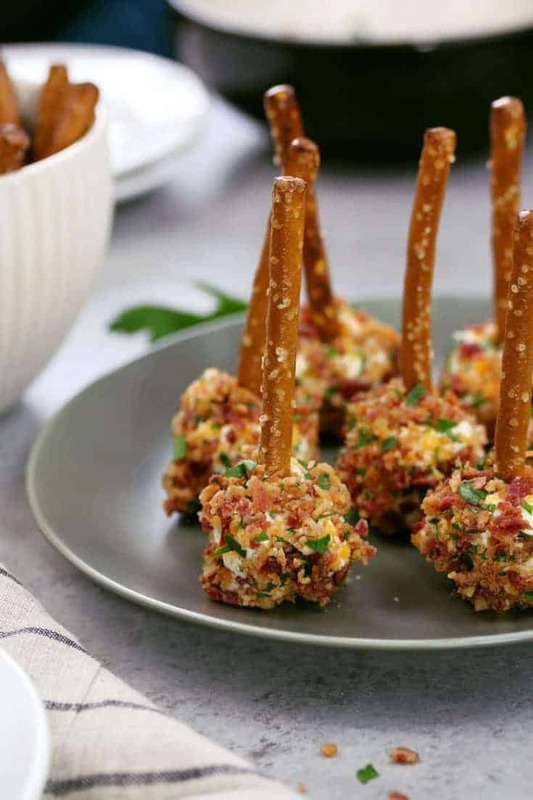 Not counting the pretzel sticks, this is a 5-ingredient appetizer recipe. And it takes about 10 minutes to make all of the mini cheese balls. You will shortest amount of time making the shredded cheese and cream cheese mixture. How’s that for scoring big!? The last time I made these mini cheese balls, I only put together half of the mini cheese balls. I saved the leftover cheese mix (with the bacon and parsley added of course) for a little get together I had. Wouldn’t you know, my guests treated it like a cheese dip and devoured it all with chips. So if you decide not to make everything into cheese balls, you’re still set with a delicious recipe. Win, win. You can substitute the parsley for green onions. If you’re short on time, use precooked bacon or store bought bacon bits. 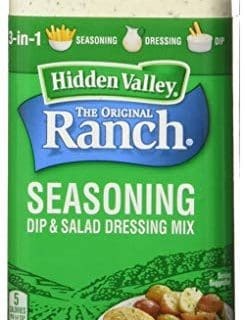 You can make dry ranch dressing mix from scratch. If you are watching your salt intake, use low-sodium bacon and half of the ranch dressing mix. Add the softened cream cheese to a medium bowl and smooth with a spatula or a hand mixer. Add the cheddar cheese and ranch seasoning and mix until combined. In a small bowl, combine the bacon and parsley. Use a melon baller to scoop out a ball of the cheese mixture. Use your hands to make sure it is in a ball and then roll it in the bacon mixture. Set aside. Repeat until all of the cheese balls are made. 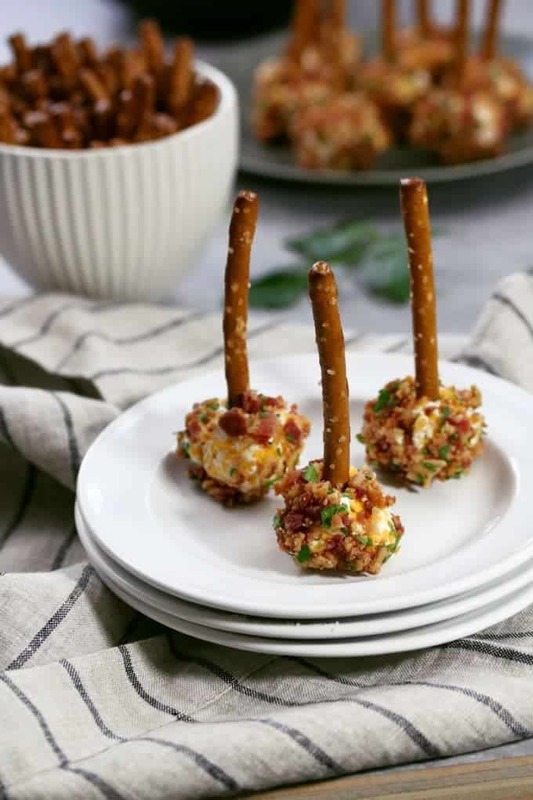 Place a pretzel stick in the middle of each cheese ball and serve. If you are watching your sodium intake, use low-sodium bacon and half of the ranch seasoning. These look SO yummy. Do you deliver? Hahaha, maybe in the future. Can I make these the night before? I am afraid that the fresh parsley will make the cheese gooey. Hi Kim! You can absolutely make them the day before. I made quite a few and put them in the fridge (couldn’t eat them all by myself!) 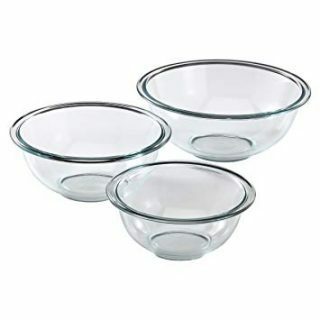 and they were still perfect for several days. Just don’t put in the pretzel stick the day before serving. It becomes limp! I made that mistake on Thanksgiving. The cheese ball itself was great but the pretzel stick was soggy and did not hold up. These look so delicious and they’re such a fun idea! 10 min appetizer…yes please! This looks awesome! Wow that’s a lot of awesomeness in one place! I love me some football snacks! And these cheeseballs on a stick are so cool! Um, yea I NEED to make these! Basically heaven on a pretzel stick! These look so good! How many does one batch make on average? You have found the way to my heart!!!! Easy recipes are the best and your bacon ranch cheese balls look so flavorful! 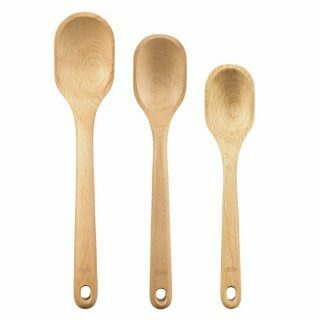 So quick and easy, I love I have everything on hand too – delish bite! I would have to make double the batch as I would eat all the mini cheese balls and then grab some more chips and eat the rest too! Favorite flavors of bacon and ranch make this irresistible! such a yummy and adorable idea! How many does one batch make on average? Hi Michelle – it makes about 30-35. These mini ranch cheese balls are absolutely delicious. And very easy to make. Thank you for sharing this recipe. Can you mix the bacon & parsley into the cheese mixture to make it even easier by eliminating a step? What a great appetizer! Thanks for sharing on the What’s for Dinner link up! Hi Jenny! Thanks for sharing your delicious Cheese balls recipe with us at #BloggersPitStop. I don’t think I could stop at one they look yummy! How adorable are those! I will take a dozen to go please! Pinned. I love this idea! Looks so delicious and so simple to make! Perfect! 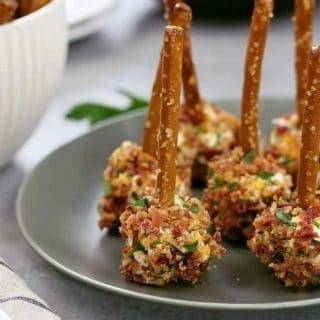 These are lovely party food! 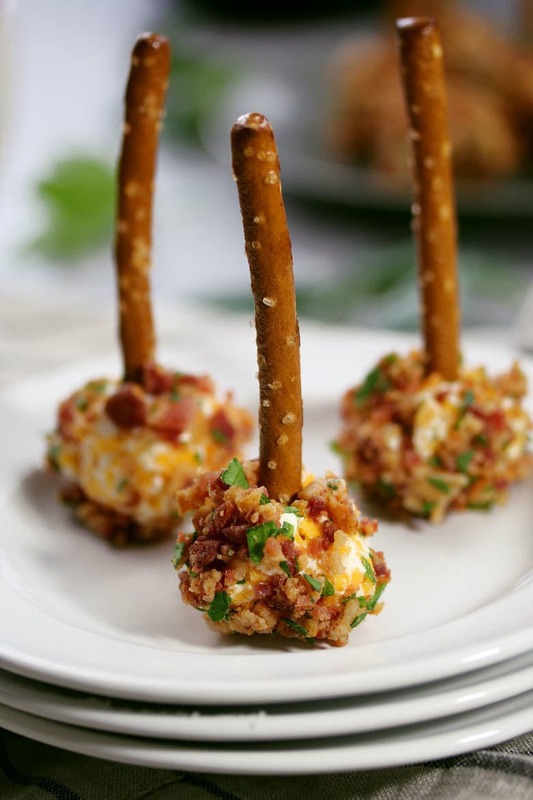 Your Mini Bacon Ranch Cheese Ball Appetizers look fantastic! Thanks so much for sharing with Full Plate Thursday and come back to see us real soon! I am really wanting some of this! Looks really good! Just pinned these awesome appetizers! Hope you are having a great day and thanks so much for sharing with Full Plate Thursday. Thinking of doing these to share at a Christmas party. Can you use those pkgs of “fresh” bacon bits you find in the salad topping aisle? Not the crunchy fake ones , but the ones that at least look real? Absolutely! That would be a big time saver too! Found you on Pinterest. Just made these for a New Years party tonight and had to sneak a few bites. My GOSH they are absolutely delicious! They will definitely not last past midnight. Thanks for the great recipe! Happy New Year Megan!! Thank you for heading over to let me know you liked the recipe. These are absolutely delicious. Made them for a Christmas party and they were a hit. However, I made the mistake of fully prepping them with the pretzel and chilling them. Of course the pretzels were soggy, lol, but still very good! If I make the recipe tonight Wednesday or tomorrow thursday and dont put the pretzels into serve them until Sunday will it still look and taste ok? I would wait until Thursday but it should still look and taste great! So glad to hear that Cassie! Happy Thanksgiving!